Your Move estate agents Chapeltown, is based in the heart of Chapeltown, surrounded by shops, public houses and local businesses. The Chapeltown estate agency branch can be found easily by foot and has easy parking facilities for those travelling from afar. The Chapeltown branch also have the benefit of being within very short distance of the local railway station. The Your Move estate agency branch stands out from the crowd due to the vast amount of window space it provides along with the eye catching displays. Your Move estate agents in Chapeltown offer a wide range of property services for customers including those looking to sell properties, rent properties plus providing an extensive range of financial services and surveys. Our fees start from 0% - call us now to find out how you can get a 0% fee but not compromise on the final amount your property will achieve! Chapeltown is based to the North of Sheffield in the heart of South Yorkshire with excellent transport links. It is one of the most desirable areas in South Yorkshire due to its location, amenities and schools. If you would like to know more about Chapletown and the surrounding areas we have created a local area guide highlighting some key points about the area. If you are looking to sell a property in Chapeltown we have different marketing packages available including both online and traditional strategies. Buyers can register for updates in branch or online to get updates of all the newest properties on the market, we’re here to guide you through the buying process from start to finish. We also offer a panel of conveyancing solicitors to help alongside your sale or purchase who are dedicated in ensuring your transaction goes as quickly and smoothly as possible. 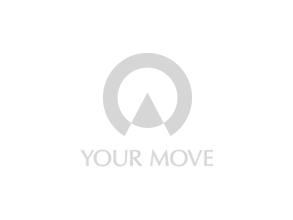 Your Move Chapletown estate agents also provide a lettings service to both landlords and tenants. Landlords can choose from a range of services including tenant find only or full management. Your Move provides an online Landlord Portal so that landlords can access their property details at any time.